Haus Alpenz had a tasting room at Manhattan Cocktail Classic last month. There brought many wonderful products including a full range of Cocchi. I am most familiar with Barolo Chinato Cocchi, Cocchi Vermouth di Torino and Cocchi Americano but did you know they had sparkling wines as well? I tried the Asti which was as expected light and sweet and the brut was drier. I probably should have also tried the others but I had so many to taste in the room. I spied the Rothman and Winter liqueurs which I was about to try but ended up tasting the Pear Williams Eau di Vie. What I like about these are they aren’t too sweet or artificial tasting. Next, I spotted one of my faves- Zirbenz. There is a certain truth to tastes changing as you get older. I have found liking more bitter things and I’m always looking for something new. When I first tried Zirbenz at the Vesper Bar in Las Vegas, I’m always delighted to see it in cocktails because it represents cocktails trending towards less sickly sweet, more mature drinks. 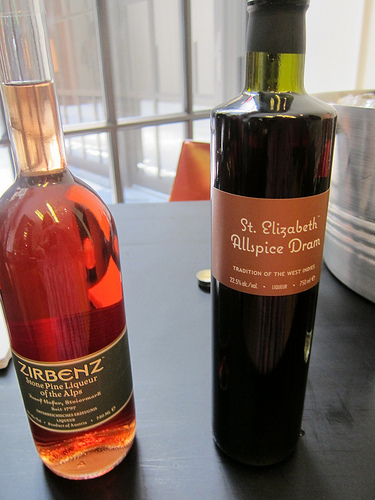 I also enjoy St. Elizabeth Allspice Dram and it was nice to try this neat. It is like Christmas in a glass and goes so well in rum cocktails. There was also Zucca and Cardamaro but I have tasted both before and liked them. I did try the Nux Alpina Walnut Liqueur. It’s less cloying than some other walnut amari I’ve tried. Next I walked over to the table full of Dolin and related products. I tried Byrrh and then later was delighted to find it already on Formosa’s new cocktail list in LA. They also carry Salers which is more dry. 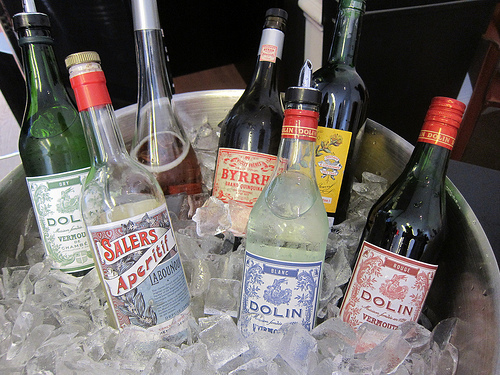 But what I really loved was the Dolin Liqueur de Genepi which taste very similar to Green Chartreuse. the Haus Alpenz representative explained it would be a much more affordable bottle than Chartreuse. 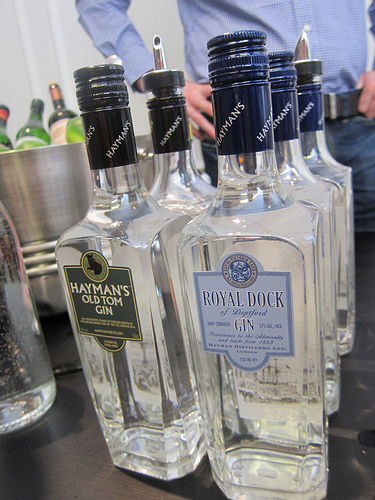 Moving on, I skipped the Hayman’s Old Tom gin as it’s not my favorite style but I was intrigued by the Royal Dock Gin, a navy strength gin. I LOVED this one. I wouldn’t mind a few cocktails made with this gin. I look forward to trying more from the Haus Alpenz portfolio soon. This entry was posted in alcohol education, alcohol tasting, cocktail week, events, history, spirits, the minty, travel and tagged andaz 5th avenue, barolo chinato cocchi, byrrh, cardamaro, cocchi americano, cocchi vermouth di torino, dolin, haus alpenz, hayman's gin, hayman's old tom gin, industry invitational, manhattan, manhattan cocktail classic, mcc, navy strength gin, nux alpina walnut liqueur, ny, nyc, royal dock gin, salers, st. elizabeth allspice dram, the minty, travel, zirbenz, zucca. Bookmark the permalink. Yes, GIulio Cocchi is one of the oldest producers of quality Italian Sparkling wines, still in production after 122 years now. 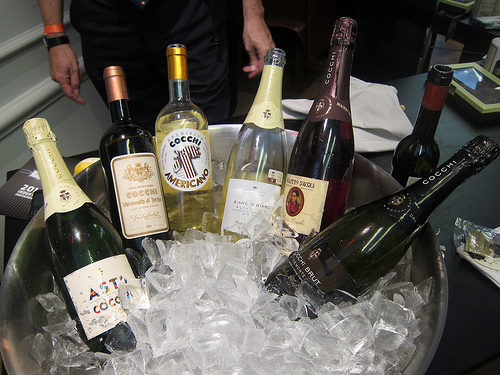 Inspite of being so well loved in US because of its “vini Aromatizzati”, Cocchi has a great reputation in Italy for producing some of the best Piedmont DOC and DOCG Sparkling wines both with Metodo Classico and Metodo Charmat -Martinotti. Pity we are too small and “boutique ” to be widely available. Thanks for visiting our table at MCC. PS :get friend with Giulio Cocchi on FB !